Karen Campbell and her husband Jason know how to fizz things up a bit. 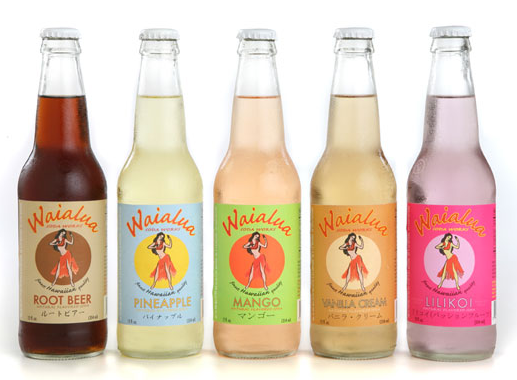 They run Hawaii-based Waialua Soda Works, Inc., an old-fashioned soda company founded in 2003, inspired by the elements familiar to the Hawaiian Islands. The company uses only clear glass bottles (as shown), pure cane sugar, and natural flavors to make its mango, root beer, pineapple and vanilla cream sodas. Learn more about Waialua Soda Works. Cost Plus World Market and Whole Foods carry it. Also visit their Facebook page.